Malaysia's opposition leader was arrested Thursday on suspicion of corruption, a fresh blow to his party which was ousted at elections this year after six decades in power. Ahmad Zahid Hamidi, a former deputy premier and ally of scandal-mired ex-leader Najib Razak, was detained after being questioned by anti-corruption authorities. He will be charged Friday. He is head of the United Malays National Organisation (UMNO), the lynchpin in a coalition of parties that ruled Malaysia from independence in 1957 until their shock defeat in May polls. The UMNO has been on the ropes since, with many coalition partners abandoning a party that had become synonymous with widespread graft, divisive racial politics and a rotten ruling elite. Ahmad Zahid was arrested in "relation to an investigation into abuse of power, criminal breach of trust and money laundering", the Malaysian Anti-Corruption Commission said. It gave no further details but local media reported that he was accused of misappropriating 800,000 ringgit ($190,000) from a foundation he chairs to settle credit card payments in 2014 and 2015. "I urge UMNO members to remain calm and follow the rule of law," Ahmad Zahid told AFP before his arrest. The UMNO quickly came to the defence of Ahmad Zahid, who was elected as party chief after May's polls, and said the arrest was politically motived. "This action is a strategy to portray Zahid as an untrustworthy and unqualified leader," said Jalaluddin Alias, a member of the party's supreme council. 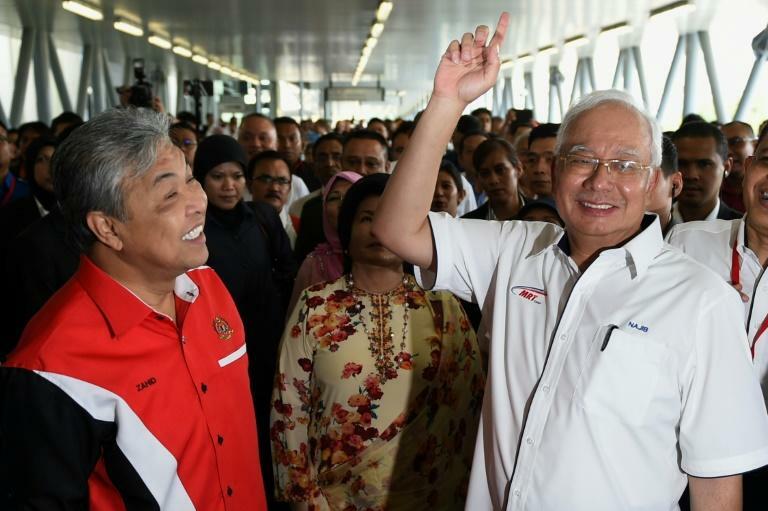 Ahmad Zahid, who also served as interior minister in the last government, stuck by Najib even as other senior figures abandoned him over the 1MDB graft scandal. US authorities say more than $4.5 billion was misappropriated from the fund, with nearly $700 million diverted into Najib's personal bank accounts. The ex-leader has denied any wrongdoing.